If you ever tried to find the right job, you probably noticed that the majority of employers are on the search for at least two years of prior experience. It’s clear why so many of them wish to co-work with experienced specialists – track record, industry knowledge, solid skill sets and so on. Nonetheless, there are certain advantages of hiring a young person right out of college. An average student spends four years getting ready for the real world life. Graduates leave the college, having a strong will to take responsibilities and make the most significant impact. In contrast to this, the candidate with broad experience may take this role thinking he knows everything and being less open for gaining knowledge. The candidates for this or that position who have two years of prior experience have already been molded to gain the results at the last position they had. They may encounter some processes that will flow into a new position and may not suit the management style or objectives of the particular employer. On the other hand, a fresh graduate is a blank page! An employer has an opportunity to teach a newbie and show him / her the right way to success. According to the latest survey, 70% of fresh graduates require their first employer to provide them with detailed formal training for their future career. One of the most significant qualities of a graduate is that he / she does not know much and, as the result, is willing to learn more. Fresh graduates are always ready to give the top preference to the first position they get when they enter a grown-up life. They have just come from the university or college where they had to face with the necessity to study on week-ends, stay up late to finish certain projects, etc. They are busy with building a completely new life far from college reality, which means they will have no problem when being assigned to work hours on the weekends and stay late. In accordance with some surveys, ladies usually conceive children at the age of 25. That is 3 years after the graduation. The job seekers with experience are usually older, which means they definitely have families and a wide variety of extracurricular activities. In other words, the experienced and know-it-all individuals are less available. 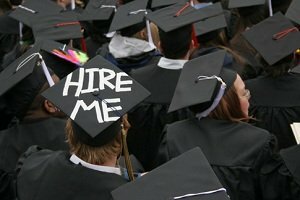 Hiring a fresh graduate is a great opportunity to find the right candidates for the other openings if you have some. The thing is that the graduate may know a lot of “colleagues”, who are also on the lookout for a job right after the college. One of the benefits of such “networking” is that they will definitely enjoy working with each other due to the solid relationship they have built. There are huge corporations that are well known all over the world and the small businesses that cannot boast of having unlimited budget. In such case hiring a fresh graduate will not only provide you with a competent incumbent, but also save your funds. Recent researches prove that the average salary for an Account Executive in the Advertising area is up to $55 000, while the fresh college grad may expect to gain not more than $45 000. Humour in Our Life: Is It Really Important?